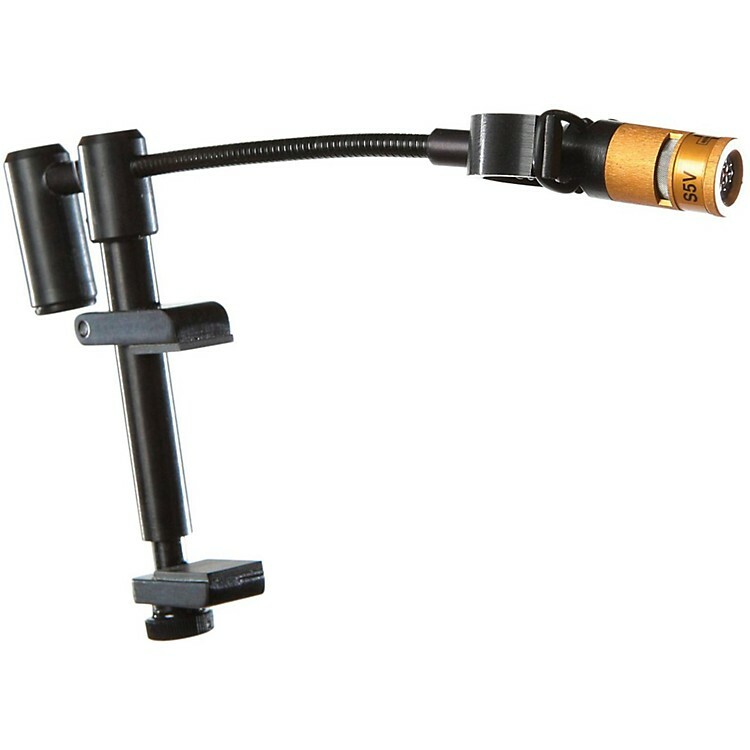 A clip-on mic for violin, viola, or mandolin. The AMT VSW - Shure Clip-On Condenser Microphone System was designed to operate with Shure wireless systems. The VS is an ultra miniature, feather-weight, low-profile condenser microphone specially designed for the violin, viola, and mandolin. The AMT mic attaches firmly to instrument with a clamp designed to not harm it or dampen its natural sound or vibrations. The clip on microphone provides pure tonal reproduction without being obtrusive. With the included AMT Interface, the microphone can plug directly into the interface which then plugs directly into Shure wireless transmitter.